This map isn't part of any series, but we have other maps of the great state of California that you might want to check out. The great folks over at the David Rumsey Map Collection just released another huge update. Map lovers everywhere thank them for their tireless efforts. 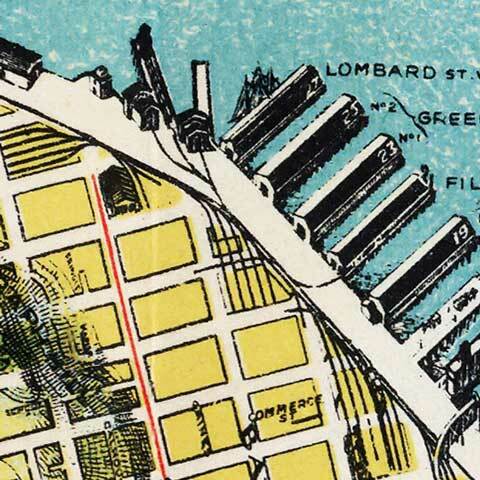 Lots of good stuff amongst the 1,100+ new maps they put up, but for my money the hands-down standout is this map of San Francisco by August Chevalier. It's simply gorgeous. Not a man for modesty, Auggie titles this "The Chevalier Map of San Francisco" and I'm sure that it will be of great interest to many -- in the bay area and beyond. Let me know what you find. For more map resources and imagery from this period in Los Angeles's history, check out the California Historical Society's website. I have an original one of these in very good condition. Can anyone provide an educated guess as to the value? No clue, Dave — I wish I had more familiarity with the historical/collection print market, but I really don’t. Please do check back in if you find anything out, Dave, I’d be curious to know. I am interested in purchasing your map Dave. 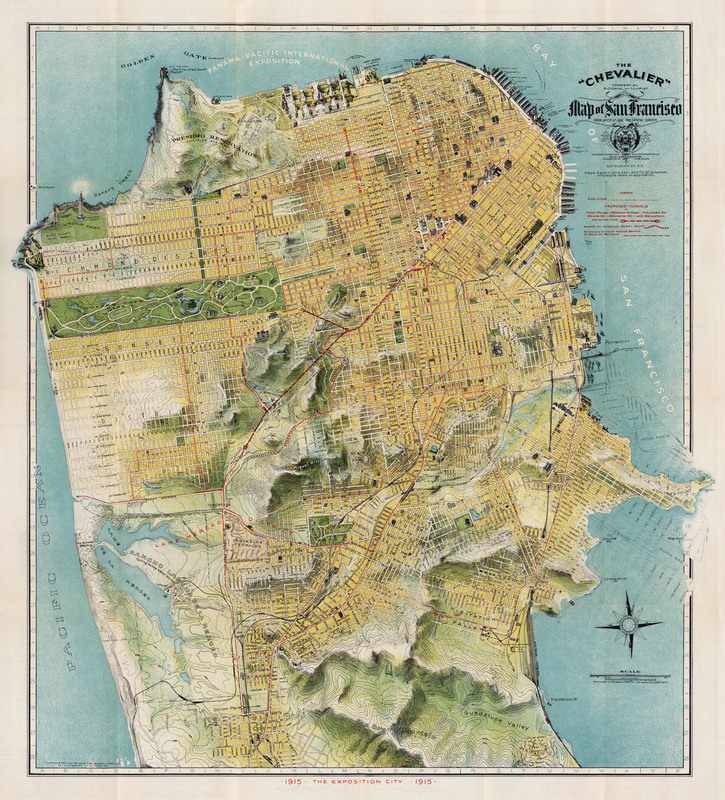 Not a huge collector but a native San Franciscan and think the map would be cool on my wall. Let me know if your interested in striking a deal! Sorry, not interested in selling. It’s pretty unique and I value it as a part of the house. Thanks anyway! Let me know if you ever change your mind!